Give the gift of success on the fly to your family and fishing buddies with an Ascent Fly Fishing Gift Certificate. Now, help us determine the perfect mix of flies and streamers by answering the questions below. A souped-up and sexier version of the Black Beauty and Miracle Midge, the addition of the glass beadhead to the Mercury Midge brings an extra spark of light to this pattern, which helps feeding fish hone in on your fly as it drifts down the river. We pride ourselves in the production of quality flies and fishing gear, and want our customers to be 100% satisfied with every purchase they make from Ascent Fly Fishing. That's why we are happy to offer a 30 day return policy on all items that are unused, are in brand new condition, and come back with their original tags and packaging. Items that are returned beyond 30 days will be eligible for store credit, which will be issued in the form of a gift certificate. Items returned without their original packaging and tags, or items that have been used are not eligible for return. This policy applies to all products we sell with the exception of terminal tackle (leaders, tippets, weights, floatants, indicators, etc. 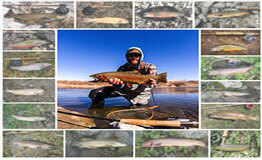 ), digital downloads, classes, sale items and Biologist Crafted Fly Selections. A 10% restocking fee will apply. The Client will be responsible for paying the shipping costs to return the item. Shipping costs are nonrefundable. Durable flies. I do wish they would come barbless. Great service with quick delivery.